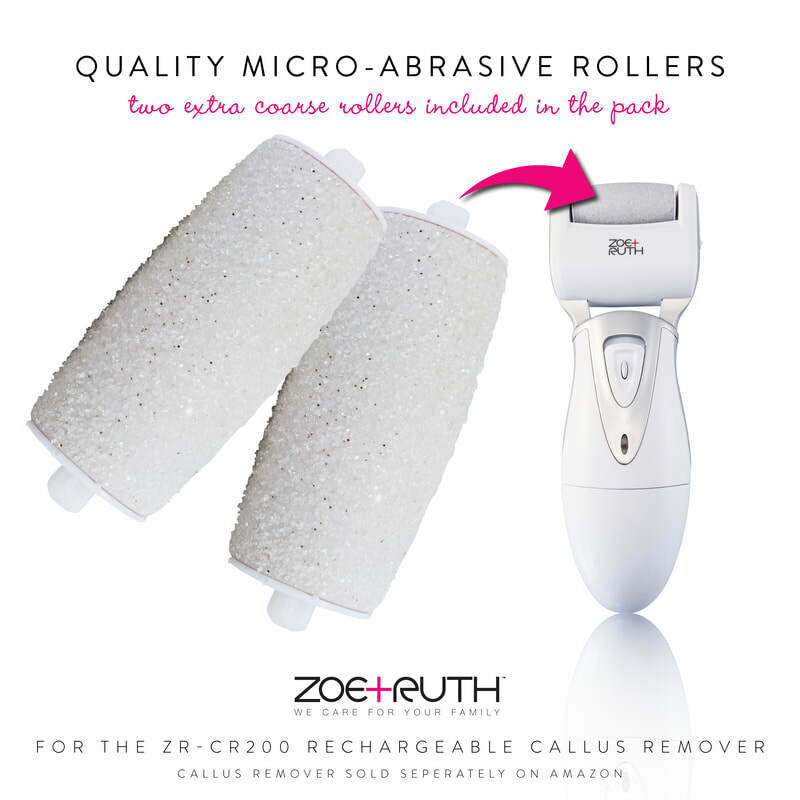 With every purchase of a Rechargeable USB Zoe+Ruth Callus Remover you can receive one FREE 2x pack of replacement roller heads valued at $9.97... yes FREE! (US customers only - free shipping also included). 1. Place your order for your Zoe+Ruth Callus Remover between Saturday 13th October 2018 and 11:59pm PDT on Thursday 1st November 2018 on Amazon.com. 2. Contact Zoe+Ruth by 11:59pm PDT by Monday 12th November 2018 with your Amazon.com order number along with your email address. This can be done via our contact extended warranty registration page http://www.zoeruth.com/warranty and enter in the comments box “Halloween Special” (along with any other comments you would like to make). Also confirm the address that you would like it delivered too. 3. We will ship out your FREE extra pack of roller heads. (Valued at $9.97). Free packs available to the first 300 customers.